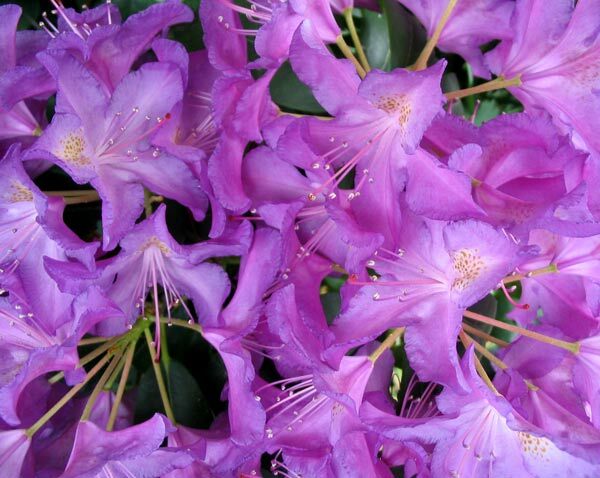 Try thinking rationally about flower colours in the middle of a drab winter! It's easy to become muddled and completely unbalanced. All colours! Any colour you like, thank you! Colours, please! 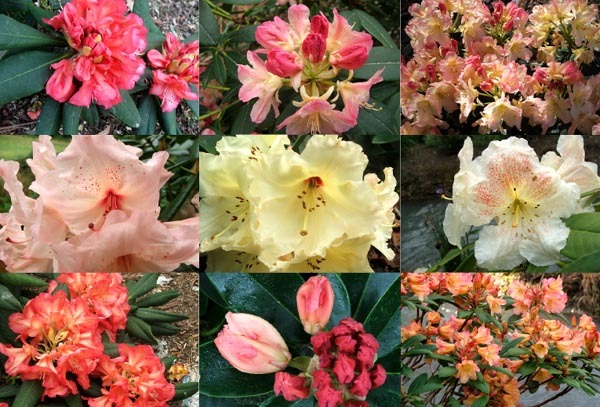 To try and sensibly answer the question, I ran through the different rhododendrons I grow in my garden. 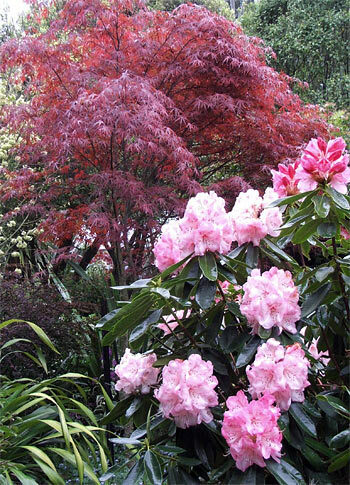 With normal gardeners it should be safe to assume the following: if a certain colour is grown, then that colour is liked, and vice versa. 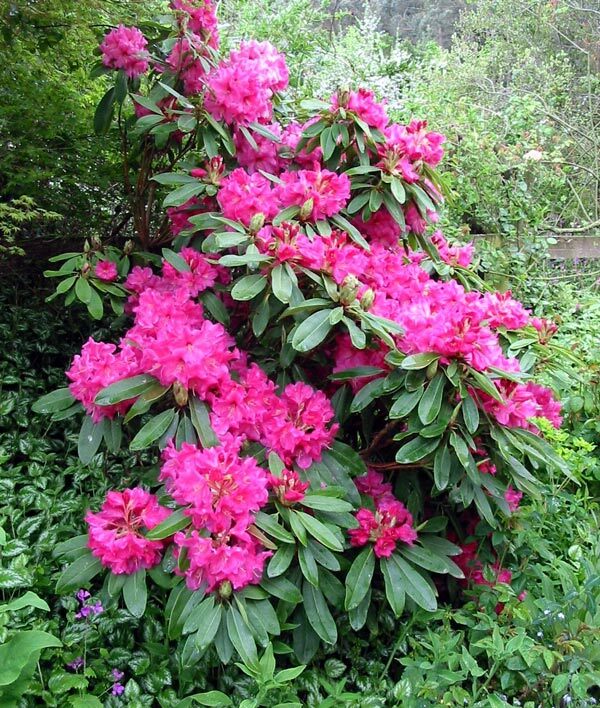 But many of the Moosey rhododendrons have been plants rescued from this sale table and that bargain bin. Some have been wrongly labelled, others label-free, proudly anonymous. But my friend wanted me to choose, so I said that my favourites were definitely the fruit salad colours - warm yellows, peaches, apricots, flushed pinks, caramel creams, and lemons. I have a number of these shrubs happily growing near each other by the Willow tree stump. They're luscious - almost good enough to eat! 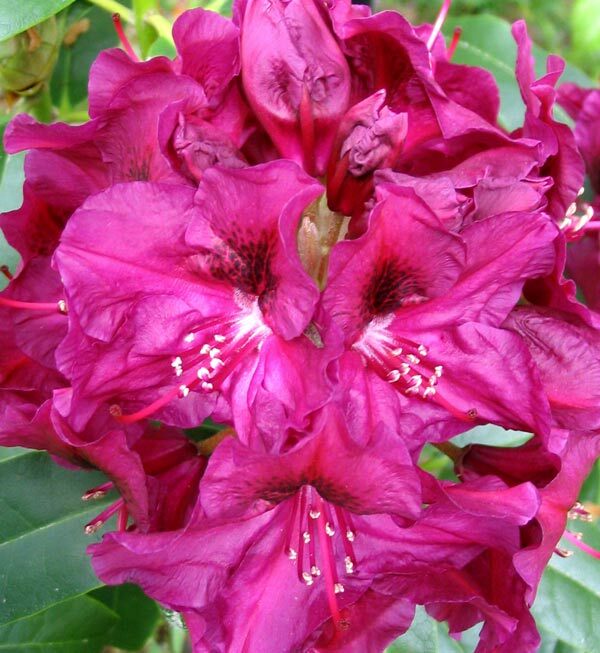 But wait - there's the deep, bright pink rhododendron which brightens up my Pond Paddock Garden later in the season. And a huge pale pink shrub delights me in Middle Garden when I'm on my way to feed the hens. It's too easy in the middle of winter to forget my excitement when these first pink colours arrive. Oops. There are more favourites. I've forgotten the magenta and purple shrubs which peep out behind the unfurling Gunnera in Middle Garden. I've limbed-up Pittosporums and cut down Phormiums so their vibrant uncompromising colours can be seen. No - I think I'm back with the fruit salad colours. Or any colour, really! My goodness, I can't choose. And I can hardly wait for spring to arrive so I can see some real flower colour!